If you were granted one wish, what would it be? 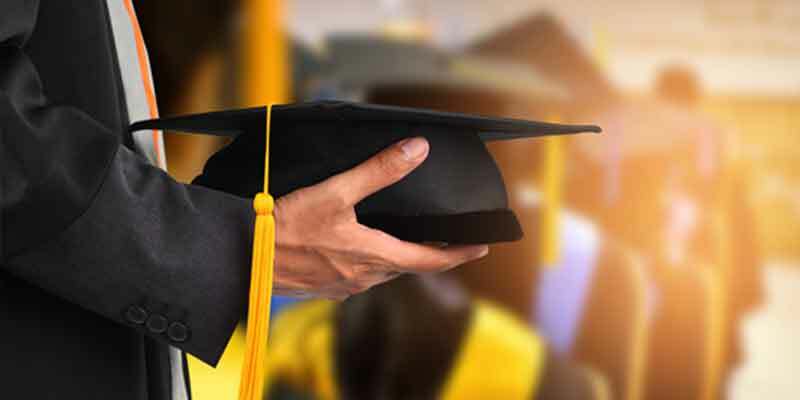 Some graduates might opt for riches beyond their wildest dreams while others might select something practical or choose to pay it forward to a loved one. What if this scenario wasn’t a fairy tale and you could actually make your wish come true? The truth is, you can achieve anything you want in life as long as you work hard and are willing to make the commitment. While that may sound simple, it’s not. The fact is, everything has its price. It not only takes effort and dedication, but there are serious tradeoffs in the process. That’s because every time you say “yes” to one thing, you’re also saying “no” to another. (Unless you can be in two places at the same time.) So be careful what you wish for. The last thing you’d want is to achieve your dreams but be saddled with regrets. Before you begin your journey, here’s a word of caution. There are several obstacles that will stand in your way — some are beyond your control while other impediments are self-inflicted. Your job is to circumvent them. Indifference. Some people never get out of the starting gate because they don’t know what they want. While that’s fine at first, don’t make it a lifelong habit. Laziness. Some folks don’t want to work hard, so they fail to make the required effort. Entitlement. Some people expect everything to be handed to them on a silver platter. That’s ridiculous. The world doesn’t owe you anything. The sooner you learn that lesson, the better off you’ll be. Hesitation. Some graduates doubt themselves, or worse yet, let people talk them out of pursuing their dreams. Inaction. Some people fail because they’re all talk. Dreams, unlike eggs, don’t hatch from sitting on them. Weakness. Some folks quit when they hit their first obstacle. Face it — life isn’t all roses and rainbows. Show some grit. Be resilient. Remain positive. If you believe you can’t, you won’t. Be brave. The next time someone says, “The odds are against you,” remember: If you don’t try, you forfeit the opportunity. Be accountable. Take ownership of your choices rather than relinquishing that responsibility to others. Be focused. It’s hard to be good at one thing, much less everything. The fact is, trying to be excellent at everything leads to mediocrity. Be strong-minded. Don’t be deterred by roadblocks. The difference between a stepping stone and a stumbling block is in the way you approach it. When you’re granted one wish, your first inclination might be to ask for expensive jewelry, a fancy car, or even a luxury yacht. While extravagant indulgences may make other folks green with envy, these riches aren’t what they’re cracked up to be. The fact is, we place artificial demands on ourselves that undermine our happiness. These demands force us to work harder and harder to cross a finish line that keeps moving. And then one day we’ll sit back, or more likely collapse in exhaustion, wondering what we’ve gained from this frenetic race called life. And in those moments of retrospection, will we really regret that we didn’t get the most glamorous things in life? Or will we ponder our failed relationships — the feelings left unshared with someone we love, or the precious time lost with our children? There is a difference between success and happiness. Rather than wishing for power, money, and status to impress others — pursue the life that makes you and your loved ones happy. Once you identify that goal, make the commitment and pursue it with passion. As Michael Jordan said, “Some people want it to happen, some wish it would happen, others make it happen.” In the end, dreams come true not because you wished them to come true, but because you made them come true.